Ole Gunnar Solskjaer has warned that Paris Saint-Germain will be more unpredictable without Neymar and Edinson Cavani when they meet Manchester United at Old Trafford on Tuesday night. The two clubs clash in the last 16 of the Champions League and United’s hopes have been lifted by the absence of two of PSG’s main threats. He said: ‘Of course any team that are missing players like Neymar and Cavani will feel the effect, but that will give other players a chance. It makes it more unpredictable for us who they are going to play. United’s caretaker boss paid a flying visit to France after the recent win over Leicester to see PSG face Lyon, but admits that it was only so much help to his plans. 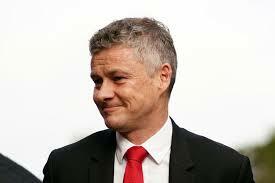 ‘It’s difficult to compare because when they play in the league they know they’re going to win it, so maybe the approach is different to the Champions League, added Solskjaer.